Any club based within a 30 mile radius of Abbotsbury Hill (Grid Reference SY556865) is eligible to enter teams into the League. 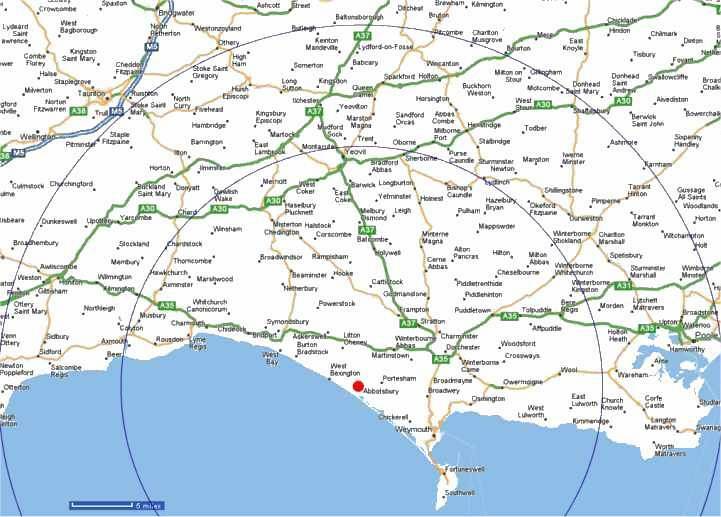 The map below shows Abbotsbury Hill, marked by the red dot, and the approximate locations of all clubs currently playing in the League, together with 20 mile and 30 mile markers. See rule A2 for details.